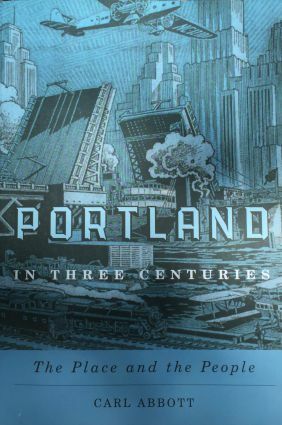 If you want a definitive, well-written history of Portland, I highly recommend Portland in Three Centuries by Carl Abbott, with a copyright 2011. I found Dr. Abbott’s book easy to read because it flowed and told stories with interesting photos. I had the good fortune to take a class from Dr. Abbott in the 1980s that was part of the Urban Studies Program at Portland State University. Our term paper assignment was to research a Portland area address or piece of real estate and then write about it. I learned so much, including how racially restrictive the covenants, conditions and restrictions (CCRs in real estate language) were on the Clackamas County address I was writing about. I was shocked, and without Dr. Abbott’s assignment, I wouldn’t have known about that ugly part of local history. This entry was posted in Uncategorized and tagged Carl Abbott, Centuries, Portland in three, Portland State University Urban Studies Program. Bookmark the permalink. Janna, One of my book groups is reading this book this year. I’m looking forward to it.